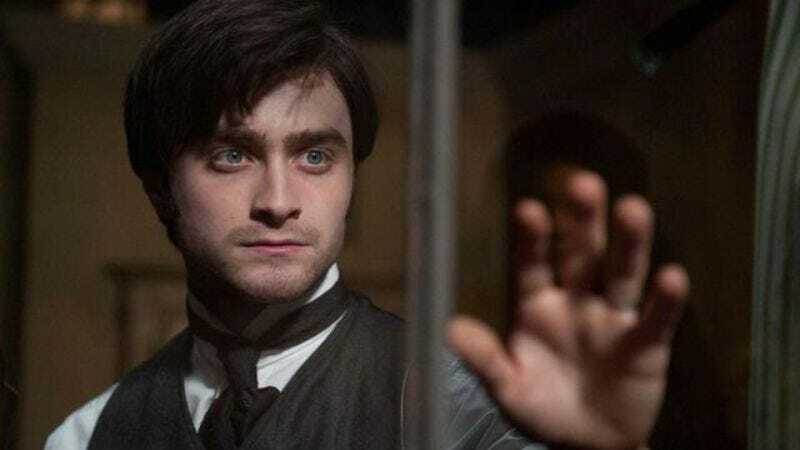 In the years since the Harry Potter film series concluded, Daniel Radcliffe has taken on projects designed to rid him of the burden of recognition. First he veered sharply away from family films into horror with The Woman In Black, then played Allen Ginsberg in Kill Your Darlings. He’ll soon be Igor in one of the many upcoming Frankenstein-related remakes, and even a journalist taking on a Yakuza boss in Japan. Now Deadline reports that Radcliffe will take on the distinctly not magical role of a 19th-century civil engineer in Brooklyn Bridge, “a period piece about the construction of the famous span that links Brooklyn to Manhattan.” Radcliffe will play Washington Roebling, the 30-year-old son of bridge designer John A. Roebling who took over construction after his father died. Douglas McGrath, who directed the Truman Capote biopic Infamous and co-wrote Bullets Over Broadway, will helm the film. If it’s a success, look for subsequent architecture-centric films like Fallingwater and eventually KFC Yum! Center.